This recipe is great to kick off the day at a healthy start. Not that hard to make though it’s scrumptious. 1.) Start off by cutting your loaf of bread into small thin pieces. 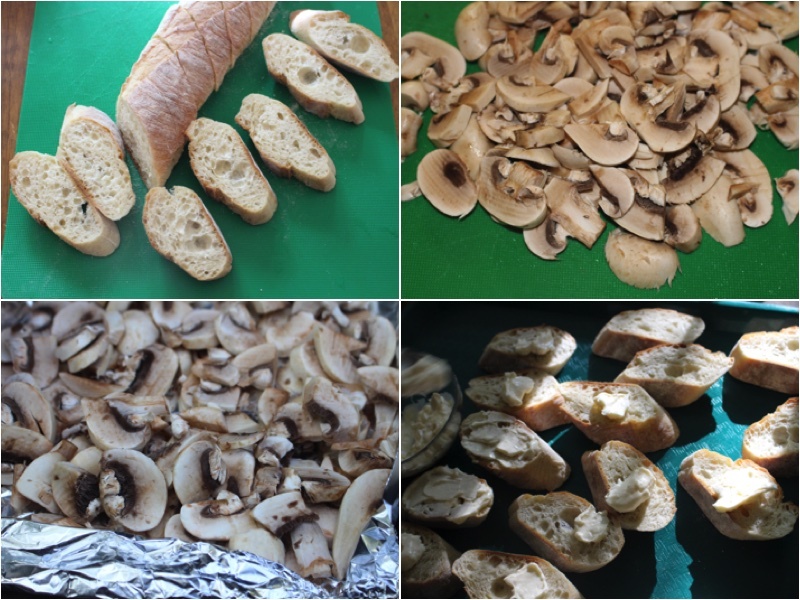 Additionally, slice your mushrooms into nice thin pieces. After grill your mushrooms on tin foil. Grab your pieces of bread and using a spoon spread your mayonnaise. 2.) 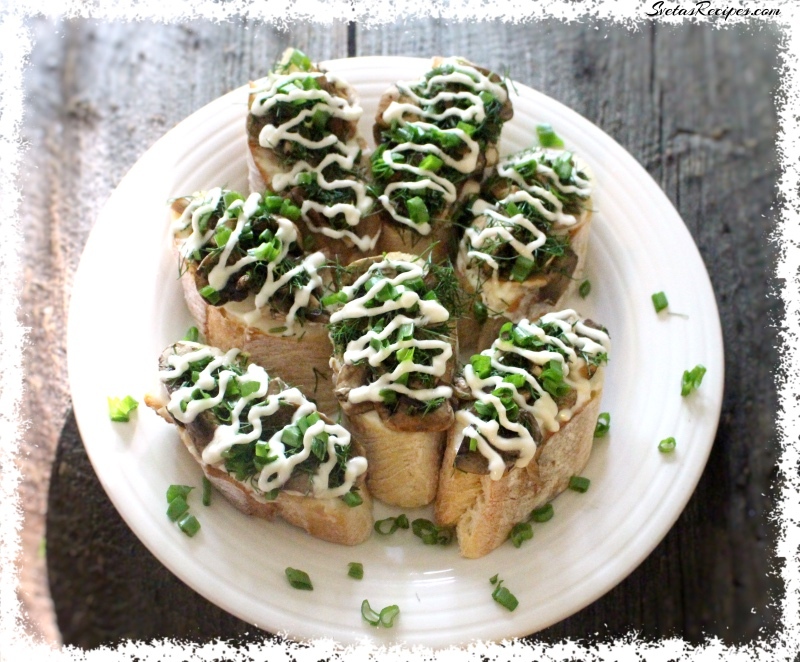 likewise add your grilled mushrooms onto the mayonnaise then add your crushed dills and horseradish. Place on a serving dish and enjoy! This recipe is great to kick off the day at a healthy start. Not that hard to make though its scrumptious. Start off by cutting your loaf of bread into small thin pieces. 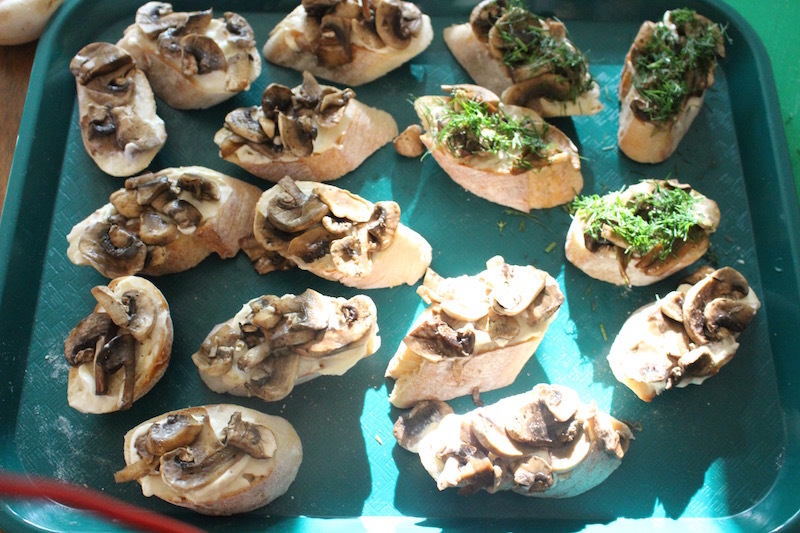 Additionally slice your mushrooms in to nice thin pieces. After grill your mushrooms on tin foil. Grab your pieces of bread and using a spoon spread your mayonnaise. 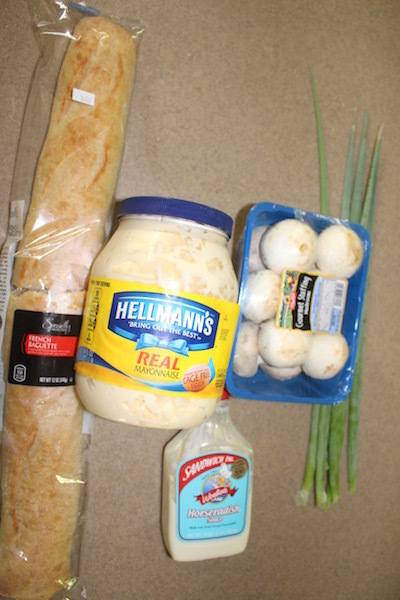 likewise add your grilled mushrooms onto the mayonnaise then add your crushed dills and horse radish. Place on a serving dish and enjoy! These are yummy! Thanks for sharing. I pan fried in butter instead of grilling.